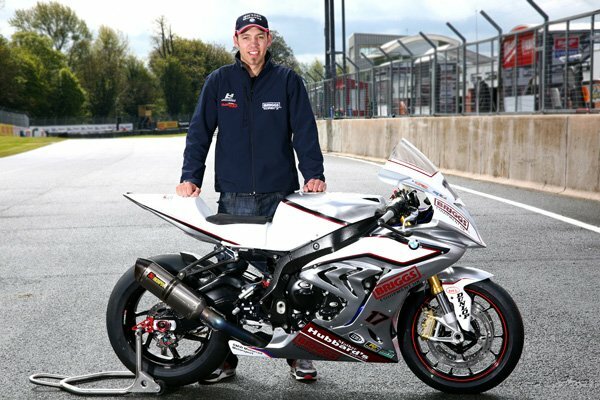 Peter Hickman and the Briggs Equipment BMW team are targeting the Isle of Man TT Races fuelled by Monster Energy after withdrawing from the North West 200 as a result of his injuries sustained in a crash at Oulton Park on Saturday. Having sustained two broken ribs in the 150mph spill on the approach to Druids, the 27-year old has subsequently been diagnosed with two breaks of the C4 vertebrae in his neck meaning both he and the team will be unable to participate in the first International road race of the season, which gets underway on Tuesday 12th May. The Louth-based rider enjoyed an excellent debut at the event 12 months ago, comfortably being the best performing newcomer and also recording the fastest ever lap by a circuit debutante and both he and the team are bitterly disappointed at being unable to return. However, the nature of his injuries mean it simply isn't possible to ride and the aim now is to be fully fit for the Isle of Man TT Races which commence on Saturday May 30th. "It's deeply disappointing for Peter and everyone connected with the team that we'll be unable to take part in the North West 200 but his injuries from the crash on Saturday are a little bit worse than we first thought." "The goal now is to support Peter as best as we can and ensure he gets the best possible medical support with the aim of being ready for the TT. He needs to get as much rest and recuperation as he can and the final decision will ultimately lie with his surgeon but we're very hopeful of being ready for practice week at the Isle of Man. I'd also like to publicly thank the on-site medical team at Oulton Park for all their excellent treatment and support given to Peter after his accident." Hickman enjoyed a sensational debut at the TT in 2014, finishing as the fastest ever newcomer in the event's history beating Josh Brookes outright fastest lap by a newcomer with 129.104 in the last lap of the 2014 PokerStars Senior TT which saw him finish in 11th place.